Canada: Who Will Keep an Eye on the Spies? Mounting concerns over online government surveillance have spurred more than 30 organizations to form a coalition that aims to watch out for Canadians’ privacy rights. The move comes amidst revelations that Canada’s ultra-secretive electronic spy agency may have illegally targeted Canadians within the past year, and fears that the controversial Protecting Children from Internet Predators Act could be re-introduced now that Parliament has resumed. The Protect Our Privacy Coalition spans the left-right political spectrum and includes citizen-based and civil liberties groups, privacy advocates, First Nations, labour groups, businesses, and academic experts. “[The coalition] was formed in response to the concerns Canadians have over the government’s dragnet collection of our really sensitive and private information,” says David Christopher, communications coordinator for OpenMedia.ca, an open-internet advocacy group leading the coalition. According to Sharon Polsky of the Privacy and Access Council of Canada, a member of the coalition, there are more than 100 federal laws that allow sensitive data to be gathered, used, and shared internationally without anyone’s knowledge or consent. The main force behind this data collection is the Communications Security Establishment Canada (CSEC), whose operations will soon be housed in a new $1.2 billion complex in Ottawa—the most expensive Canadian government building ever constructed. But recent revelations have brought to light questionable discernment in the agency’s surveillance practices, and critics say oversight is sorely lacking. In August, CSEC watchdog and retired judge Robert Decary said the agency could be engaging in potentially illegal spying during a review of its activities over the past year. “A small number of records suggested the possibility that some activities may have been directed at Canadians, contrary to the law,” Decary wrote in his report, saying he was unable to conclude whether the snooping was legal or not because of unclear and incomplete records. CSEC has also been linked to the infamous National Security Agency phone and Internet surveillance program in the U.S., leaked earlier this year by Edward Snowden. The Canadian agency played a role in the NSA’s efforts by handing over control of an international encryption standard that allowed it to build a “back door” to encrypt data, according to documents obtained by the New York Times. Leading cyber-researcher Ron Diebert has warned that oversight of CSEC is “really thin,” and its historically cozy relationship with the NSA could put Canadians at risk of surveillance. In the latest scandal, it was revealed last week that CSEC has been conducting industrial espionage against Brazil on behalf of the NSA. These revelations have prompted concerns that the spying could do permanent damage to Canada’s relationship with Brazil—an important Latin American ally. “It really points to the fact that we need much greater oversight and much greater transparency over what [CSEC] is up to,” says Christopher. The government’s Privacy Commissioner’s office has said it wants to “find out more” about CSEC’s activities and is conducting its own investigation into whether the agency is illegally spying. CSEC is forbidden by law to spy on Canadians, no matter where they are in the world. Speaking for the first time since the news broke about the Brazil allegations, CSEC chief John Forster said at a conference in Ottawa last week that “everything that CSE does in terms of foreign intelligence follows Canadian law,” according to the Globe and Mail. 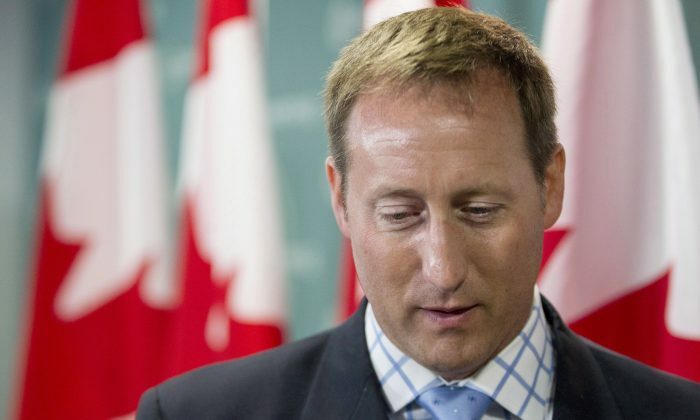 The coalition is also concerned that Justice Minister Peter MacKay is planning to re-introduce parts of Bill C-30 in upcoming legislation. The bill, which would grant access to the sensitive and private information of Canadians without judicial oversight, was quashed earlier this year after widespread opposition—including from backbench Tory MPs. “I think the reason why so many people spoke out to successfully kill Bill C-30 was that privacy is a value very close to Canadian’s hearts,” says Christopher. “We have already been clear that we will not introduce measures related to the warrantless mandatory disclosure of basic subscriber information or the requirement for telecommunications service providers to build intercept capability within their systems,” she wrote. This summer it was revealed that in 2011, MacKay authorized CSEC to mine “metadata” in the Internet and phone records of millions of people, including Canadian citizens, for patterns of suspicious activity. The program originally started under the Liberal government in 2005, but was suspended due to privacy concerns before MacKay reauthorized it in 2011. OpenMedia.ca is calling on the government to “come clean” about the full extent of the CSEC’s spying on the private Internet activities of Canadians.